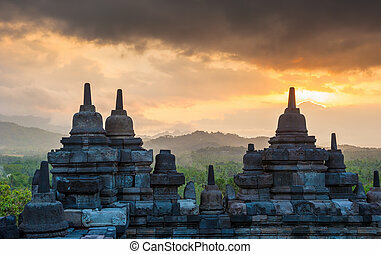 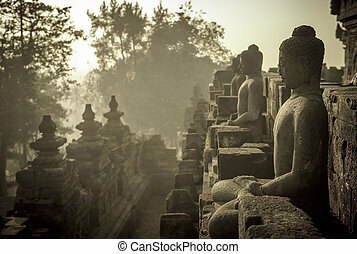 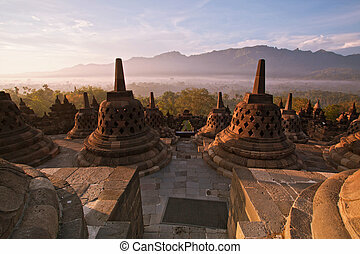 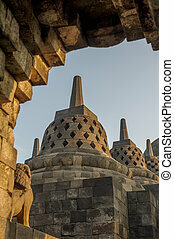 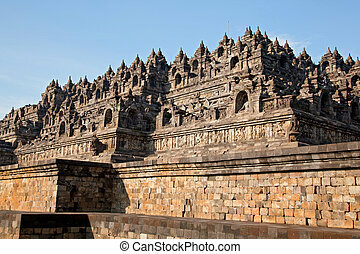 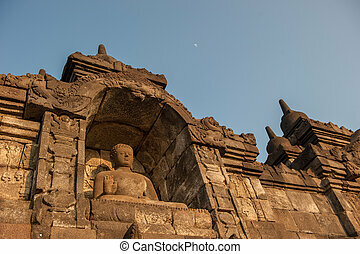 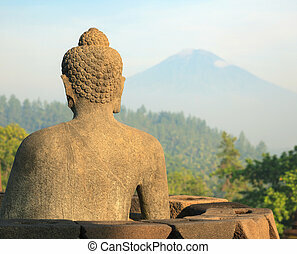 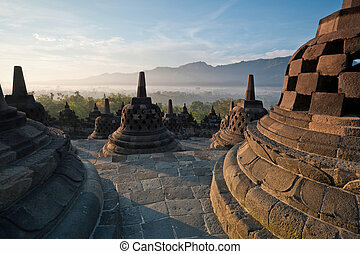 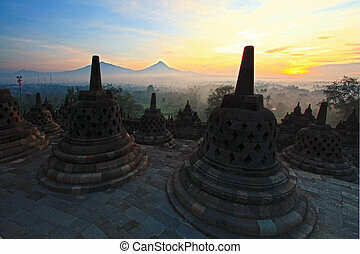 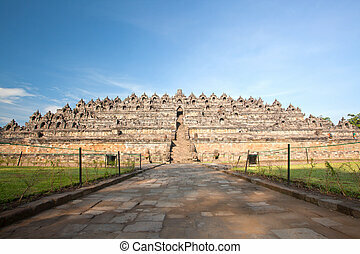 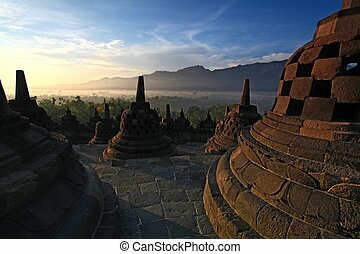 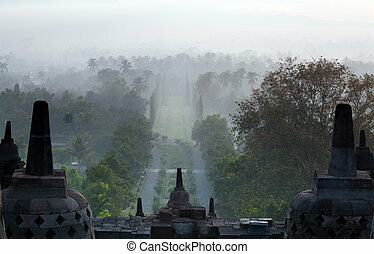 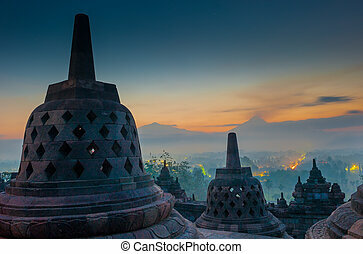 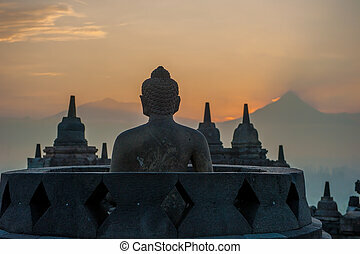 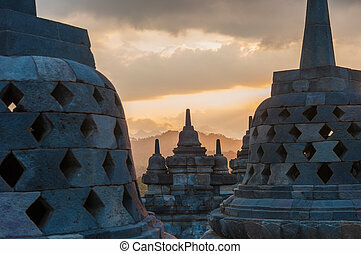 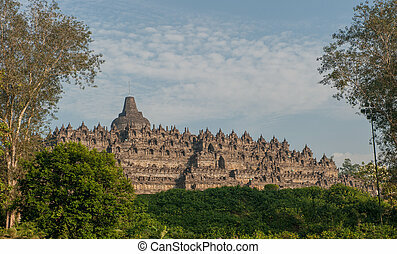 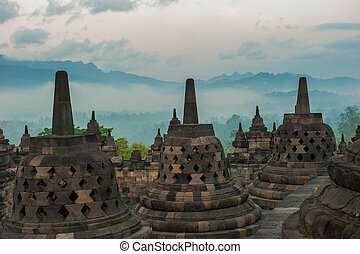 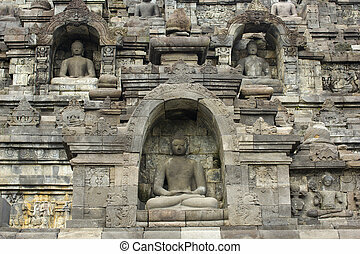 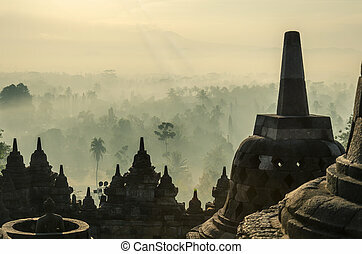 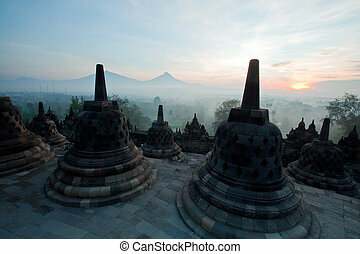 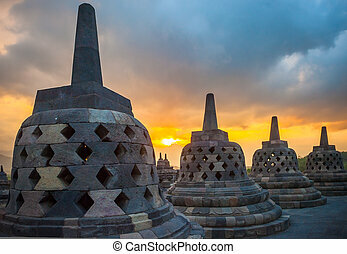 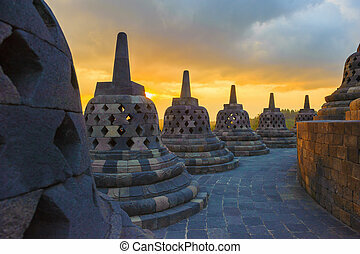 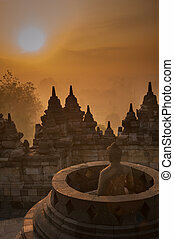 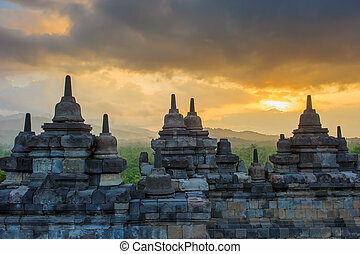 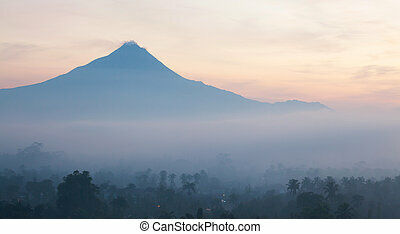 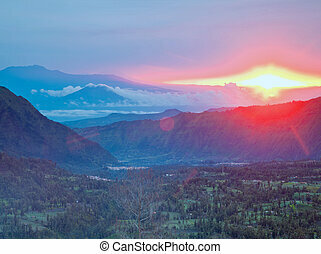 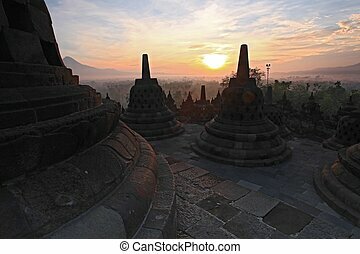 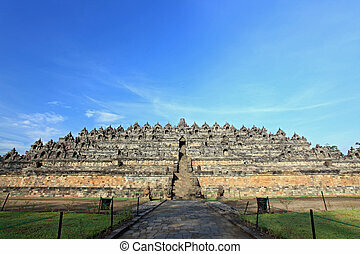 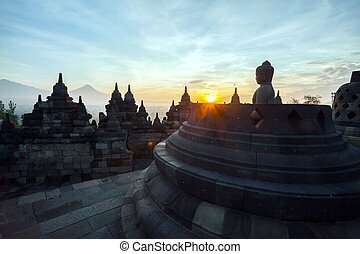 Borobudur sunrise indonesia. 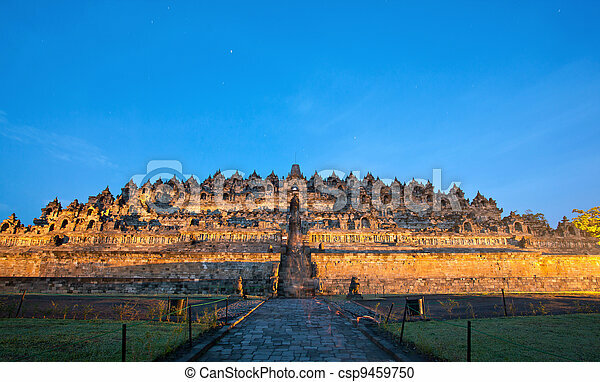 Borobudur temple morning before sunrise with star trail in yogyakarta, java, indonesia. 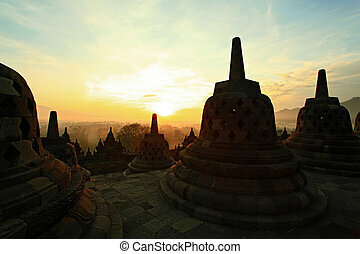 Silhouette of Ancient stupa Borobudur Temple, with sunrise in Yogyakarta, Java, Indonesia.